Life = synchronicity. Last weekend I watched the first 2 episodes of "Jamie Oliver's Food Revolution," caught the first 10 minutes of "What's On Your Plate" and knew I needed to record it to watch, and added in a chaser of watching "Food, Inc." (the book of which is also on my bedside table). Also, as I've been tracking the Plastiki (who, at this writing, is on Day 15 and 1,251 nautical miles into their journey), I find it interesting that their "Word of the Week" this week is "Food." 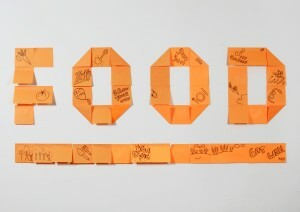 Clearly, I have "Food" on the brain! And let me tell you, with all of the viewing of the above mentioned shows, my eyes are still a little wide open from all of it. Shock, horror, amazement wide-open. I foresee "Food" being the word du jour for me awhile too.